Free storage space in the mobile device is a very valuable resource. It determines more than the number of your photos, favorite movies, music, games and applications. A lack of free space can risk malfunction of the entire iOS system. 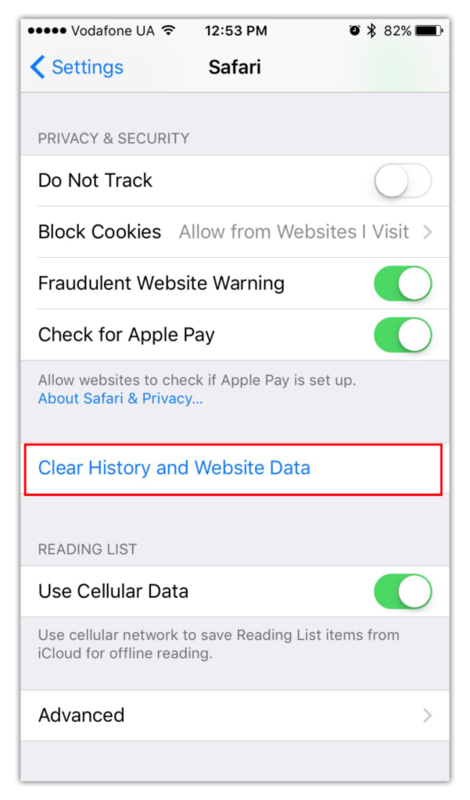 Therefore, it is important to clear the memory on your iPhone periodically. If your storage is almost full, find in this article tips on how to free up space on your iPhone without removing apps. When you send media files from Photos app via iMessage, all photos and videos create their duplicates in iMessage “Documents and Data” and take up memory. 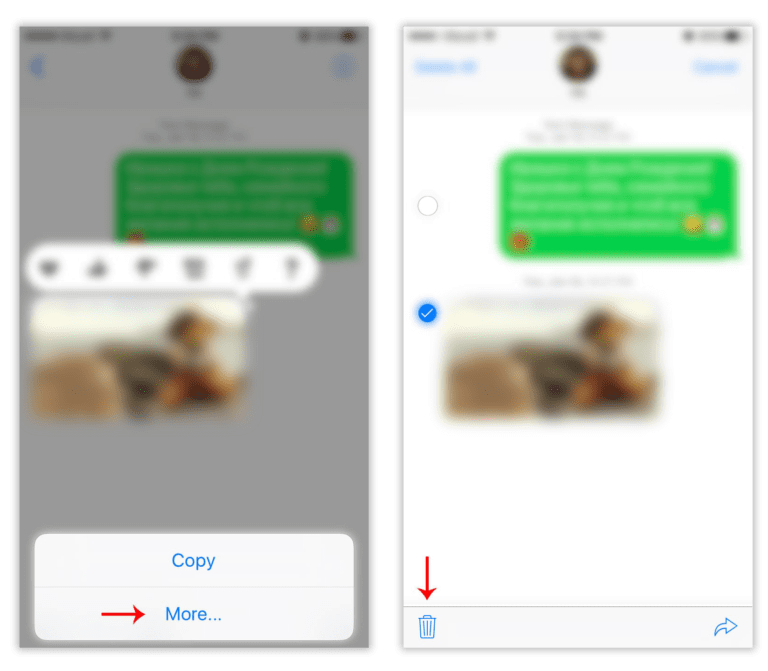 If you don’t want to delete the correspondence entirely, there is a way to delete only attachments when there is no storage on your iPhone. Open iMessage and the conversation with the files you want to delete. Select the media files and click the Delete button (the Trash icon). Photo Stream syncs photos among Mac, iPhone and iPad made in the last 30 days. If you don’t need this option, turn it off. 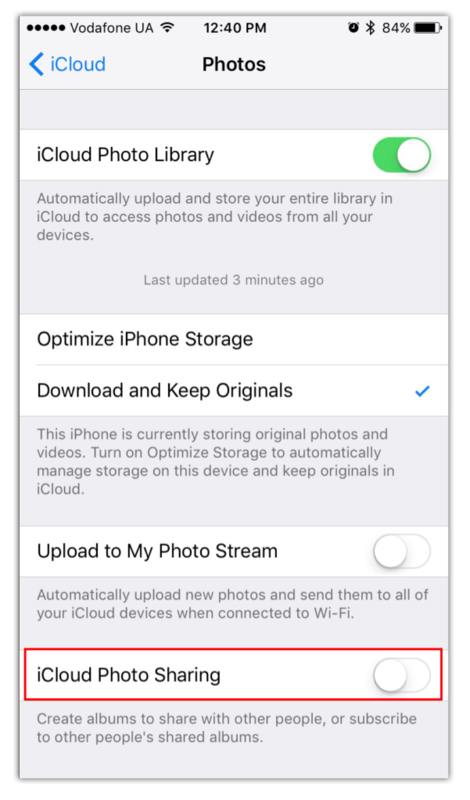 It will prevent clogging of your device with extra photos and will clear space on your iPhone. Go to Settings → iCloud → Photos. 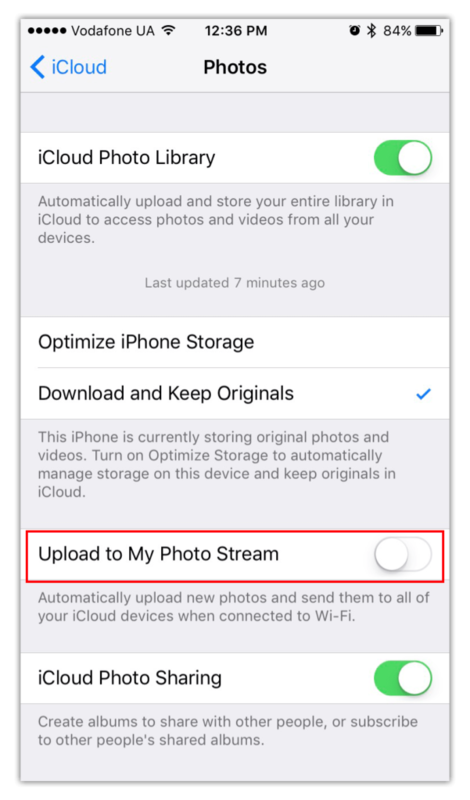 Sharing photos in iCloud is convenient, for example, when you need to collect all the photos from a party from different users. In this case, iCloud creates an album and invites people to it. If you hardly use it, delete the accumulated old albums or simply turn it off. 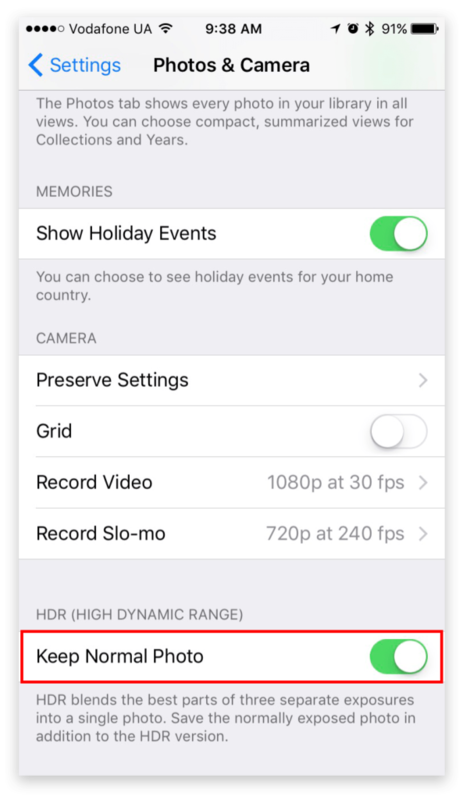 When you take photos in HDR your iPhone mode saves two shots – the original picture and the processed one. You will free up a lot of memory space if you disable saving duplicates. Go to Settings → Photos & Camera. 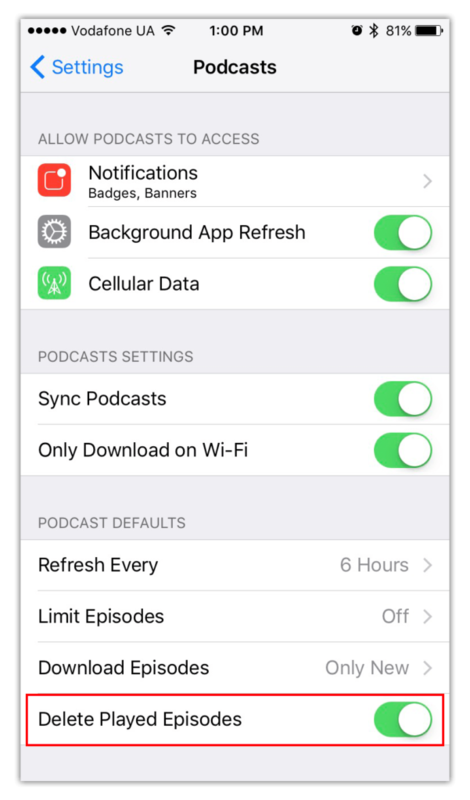 If these tips didn’t help enough, check our previous article How to clear up space on iPhone, where you will find even more tips.